The Tokyo Ballet was founded in 1964. In its third year, 1966, the company embarked on its first overseas tour to Moscow, Leningrad and Kazan by invitation of the Soviet government. Due to the success of this tour, The Tokyo Ballet was given the title "Tchaikovsky Memorial" from the Soviet Department of Culture. From its foundation, the company has always presented both Eastern and Western works from all eras. It has a wide repertory ranging from full-length classical ballets to neo-classical works, along with the masterpieces of contemporary choreographers. In particular, the company has original works created by three choreographers representing contemporary ballet: Maurice Béjart's "THE KABUKI"(1986), "M"(1993), "BUGAKU"(1989), John Neumeier's "SEVEN HAIKU OF THE MOON"(1989) "SEASONS-THE COLORS OF TIME"(2000) and Jirí Kylián's "PERFECT CONCEPTION"(1994). All of these works have achieved international success. It is exceptional for any company in the world to have original pieces by these three choreographers. Having given over 700 overseas performances on 25 tours, a record in the history of Japanese performing arts, The Tokyo Ballet enjoys an enviable reputation as a world-class Japanese performing company both at home and abroad. The company has frequently appeared in most of Europe's distinguished theatres, such as the Opera de Paris, Teatro alla Scala di Milano, Wiener Staatsoper, and Deutsche Oper Berlin, touring over 150 cities across 30 countries with high praise on each occasion. In the three great opera houses in the former Soviet Union, namely, the Bolshoi, Mariinsky and Shevchenko, the company received the highest praise wherein the hosts wrote that they should humbly learn from The Tokyo Ballet. The company performed for the first time in South America from August to September 1998, playing to capacity crowds at Teatro Colón, the premier theatre in South America, as well as at other prestigious opera houses in Argentina and Brazil. The company embarked on a two-and-a-half-month tour of Europe in 1999 and celebrated its memorable 600th overseas performance at the Deutche Staatsoper in Berlin on May 26th in the performance of "THE KABUKI." The company received many accolades during its nineteenth overseas tour, which lasted for two months and spanned both South America and Europe. The company also received high commendations for its performance of "GISELLE" in China in May 2002. In November 2003, the company appeared with the Chicago Symphony Orchestra, which performed in an orchestra pit first time in its history, conducted by Daniel Barenboim, with a program of Béjart/Stravinsky's LE SACRE DU PRITEMPTS/L'OISEAU DE FEU and Béjart/Ravel's BOLERO. In February 2004, The Tokyo Ballet premiered Béjart/Bartok's "LE MANDARIN MERVEILLEUX" which was acclaimed as a great success. 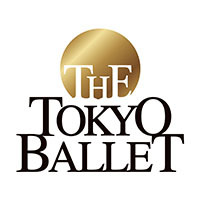 The Tokyo Ballet celebrated its 40th Anniversary in August 2004. In May 2005, the company presented The Tokyo Ballet premiere of Ashton/Mendelssohn's "THE DREAM." In May 2006, The Tokyo Ballet undertook its 22nd overseas tour to Berlin and Copenhagen, received with enthusiasm. In 2007, The Tokyo Ballet was awarded the 6th Asahi Performing Arts Prize in recognition of its achievements, including the Japan premiere in November 2006 of the lost 19th Century Romantic ballet, "La Fille du Danube" resurrected by Pierre Lacotte. In 2008, the company undertook its 23rd overseas tour in 9 cities in 6 countries, including such illustrious venues as the Herodes Atticus in Athens, and a floating stage set up on the Neptune Fountain in the gardens of the Chateau de Versailles. In 2009, to commemorate its 45th Anniversary, The Tokyo Ballet premiered two grand ballets: "La Bayadere" staged by Natalia Makarova, and "Sylvia" choreographed by Sir Frederick Ashton. In 2010, the company toured 11 European cities, as its 24th overseas tour. In 2011, The Tokyo Ballet premiered John Cranko's "Onegin." 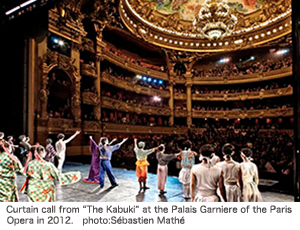 In 2012, the company held six sold-out performances at the Palais Garnier of the Paris Opera. In November 2013, the company premiered Mats Ek's "Carmen", and is scheduled to premiere John Neumeier's "Romeo and Juliet" in February 2014. The Tokyo Ballet will celebrate its 50 years anniversary in 2014.